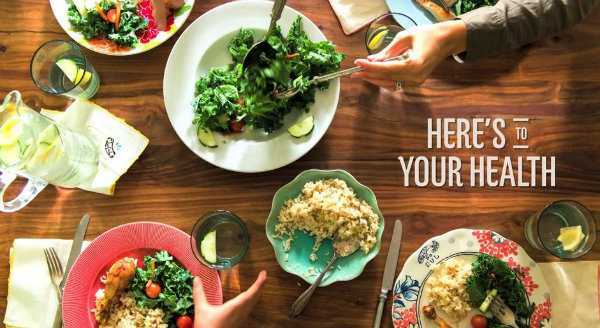 It just might be the most common complaint we share: “I’d like to eat healthier, but I don’t have the time or the energy.” The Fresh 20 is a meal planning service built around using 20 fresh, seasonal ingredients to prepare five meals per week. A subscription includes instructions for preparing meals, original recipes, and a sprinkling of motivation to help you keep healthy despite the allure of takeout during the busy workweek. At first, I balked at the thought of paying for a meal plans, when there is a growing number of businesses that offer actual ready-to-eat, healthy meals. And then I thought, “I don’t need help with that. I know how to prepare lots of meals.” The problem is, I don’t cook them. And I know I’m not the only one that enjoys cooking a homemade meal, that doesn’t do so nearly as often as I’d like to. 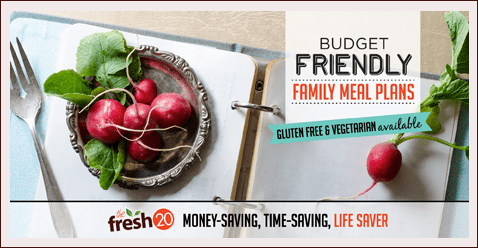 The Fresh 20 menus are both time and budget conscious. An overlap of ingredients ensures that nothing goes to waste while allowing for menu flexibility. Delicious food can be so simple, but also really boring without some creative thinking – the kind of thinking many of us are not in the mood for when we’re tired and hungry. Exactly the thinking that the Fresh 20 handles, making it easier to eat right. Melissa Lanz was inspired to create Fresh 20 after assessing her family’s eating habits… at tax time. She realized all the money they were spending on takeout and microwaveable food – those quick and nutrition-lacking solutions – and wanted better. Working as a successful Internet brand consultant ate up a lot of her time, but her diet was at least as much to blame for an energy drain. Like most undaunted entrepreneurs, she considered her passions (healthy living and eating), examined a problem (lack of organization resulting in unsatisfying meals), and set about to create a solution (Fresh 20) when her research failed to reveal a suitable alternative. 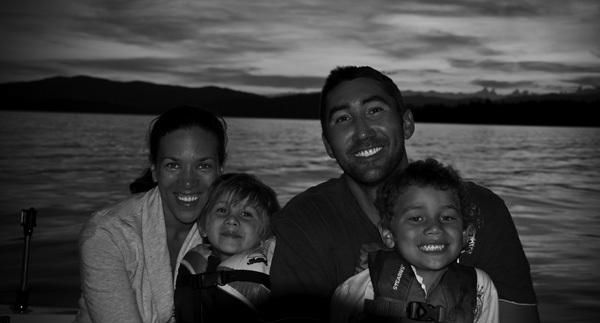 Since 2009 she’s been hard at work as a founder and mom, promoting education in nutrition and healthy living. In addition to her startup, she’s published The Fresh 20 Cookbook, and traveled widely speaking about personal betterment, family well-being, entrepreneurship and more. With Fresh 20, you already have the answer to that recurring question. Say goodbye to frozen and processed foods during the workweek. A shopping list of 20 ingredients covers five meals, and each requires less than 30 minutes to prepare. Monthly subscriptions cost $5. Fresh 20 also offers lists to accommodate gluten free or vegan/vegetarian dietary concerns. A portion of each meal plan sold is donated to charity in partnership with joinfite.org, supporting women entrepreneurs around the world. Practical, nutritious, giving – the venture just makes a person feel… healthy. And hungry!